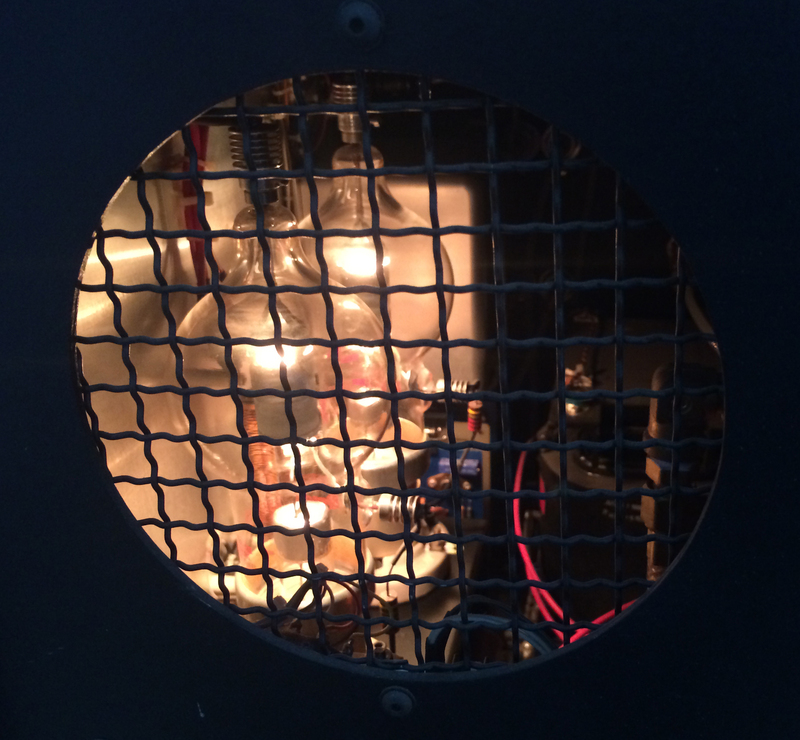 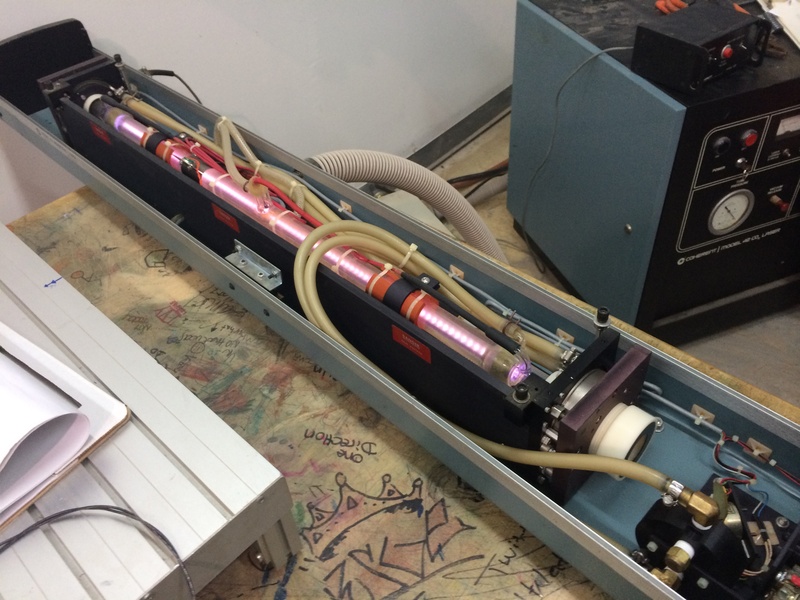 Greg has been working at getting his CO2 laser up and running and on Friday, it fired up for the first time. 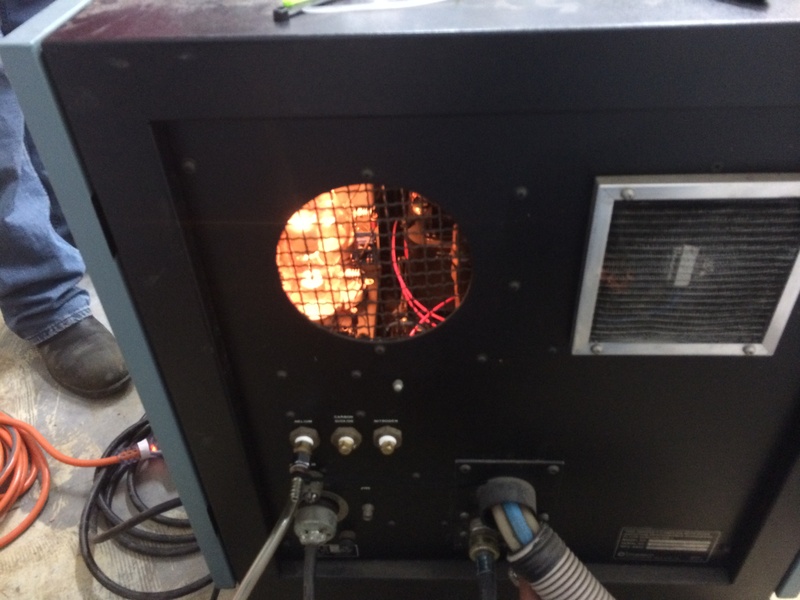 This is a look at the back of the main cabinet after we fired it up. 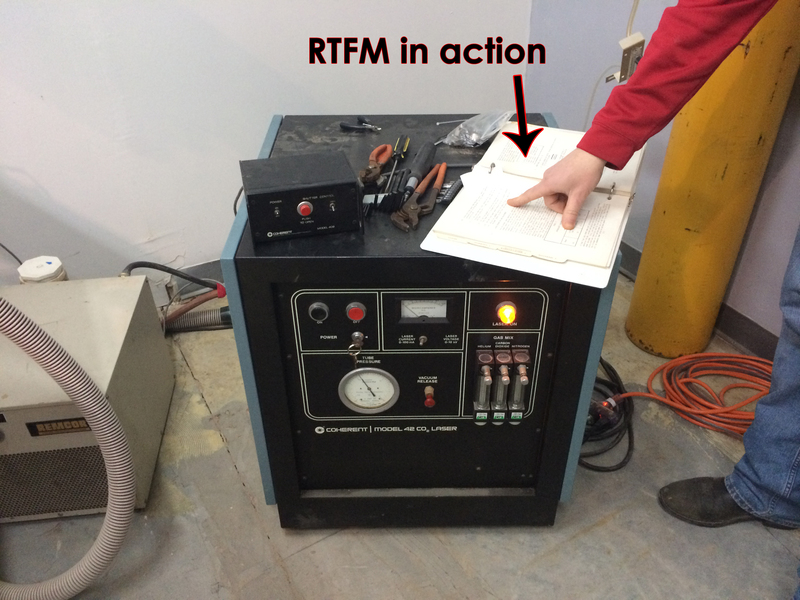 Once Greg (shown here reading the manual) figured out how to get the pressure in the plasma tube adjusted to the right levels the laser fired up for the first time.